Marvel Studios(LOS ANGELES) — “She should have been up there all this time.” That was the response from Marvel Studios, after it sent out a revised poster for Avengers: Endgame on Thursday afternoon. The mea culpa tweet is a paraphrase of a line from Avengers: Infinity War, uttered by none other than Danai Gurira’s character Okoye — fitting, seeing as the disclusion of Gurira’s name from the top of the original poster caused static among fans earlier in the day. 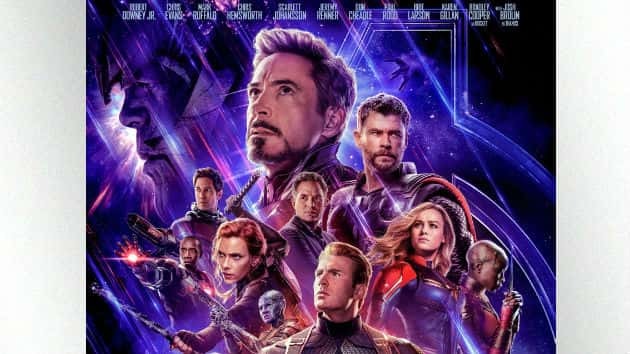 A new Marvel Avengers: Endgame trailer and poster were released early this morning to much fanfare, but for many fans, Marvel’s new imaging of the forthcoming film missed one major and important detail. Although Okoye was featured prominently on the new poster, her name was noticeably missing from a list of the other stars’ names on the top of it. Instead, the Dora Milaje general got a minor mention at the bottom of the poster, along with the film’s credits. Not surprisingly, fans were quick to notice and blast the shade on the name of the baddest woman in the MCU. Another pointed out that a talking raccoon even got more Marvel love.